We have a large vibrant babywearing group here in Calgary. And with a large group, comes a large number of admins. We currently have 11 wonderful ladies filling the admin roles for Babywearing Calgary. We love them, a lot, and appreciate all the work they put in to the running the group. So without further ado, let me (Andi) introduce you to our wonderful admin team. 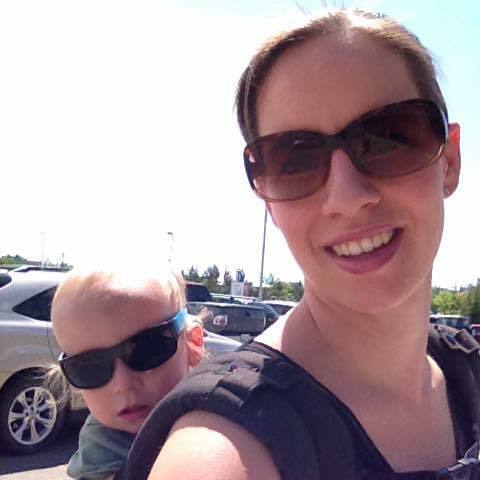 Meet Jen… Jen is a co-leader as well as a moderator on the Babywearing Calgary Facebook group. Jen has had a huge presence and impact on the babywearing community in Calgary as well as the online babywearing community for many years. 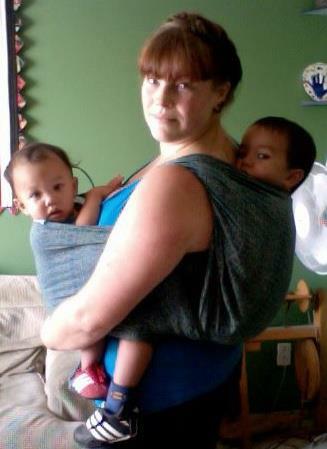 She started Babywearing Calgary in 2006 and has taught many people at many venues around the city. She attended and taught at the 2009 International Babywearing Conference and has a large collection of traditional carriers from around the world. Her knowledge and ability to help others stretches far beyond just babywearing, but you can be sure she can troubleshoot any babywearing “problem” you can think of. And she may or may not have worn a squash during some babywearing instruction. Meet Andi… Andi is a co-leader, mod for the Facebook group, hostess of the lending library, and queen of social media. 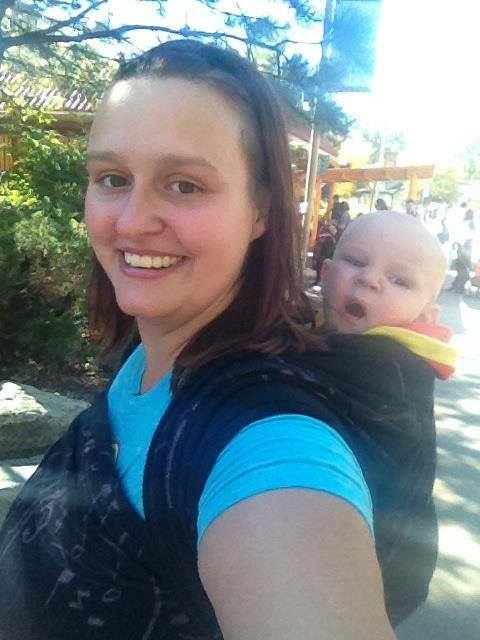 Andi joined the Babywearing Calgary family in 2012. She has been practicing the art of babywearing since 2000, but really got adventurous when her 3rd child was born in 2006. She has been teaching babywearing since 2007. At that time there was nothing local (in Lethbridge in particular, but not much in Calgary either then) where people could learn about babywearing and play with various carriers. 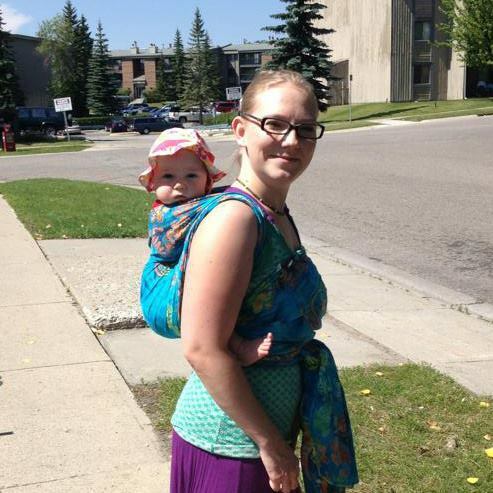 Andi started Bridge City Slingers in Lethbridge in 2007 and joined Babywearing Calgary when she moved in 2012. She currently works as a birth doula, placenta encapsulator and blessingway facilitator over at Earthy Birthy Doula, and love helping new parents learn how to wear their babies. Andi also enjoys long walks on the beach, hoop dancing, and playing roller derby. Meet Emma… Emma is a co-leader and a mod for the Facebook group. Emma has 3 children and started babywearing in 2009, using a stretchy wrap as an invaluable bonding tool when dealing with post partum depression after the birth of her oldest. It was after her second child was born that she visited Babes In Arms and found a whole world of different kinds of carriers! 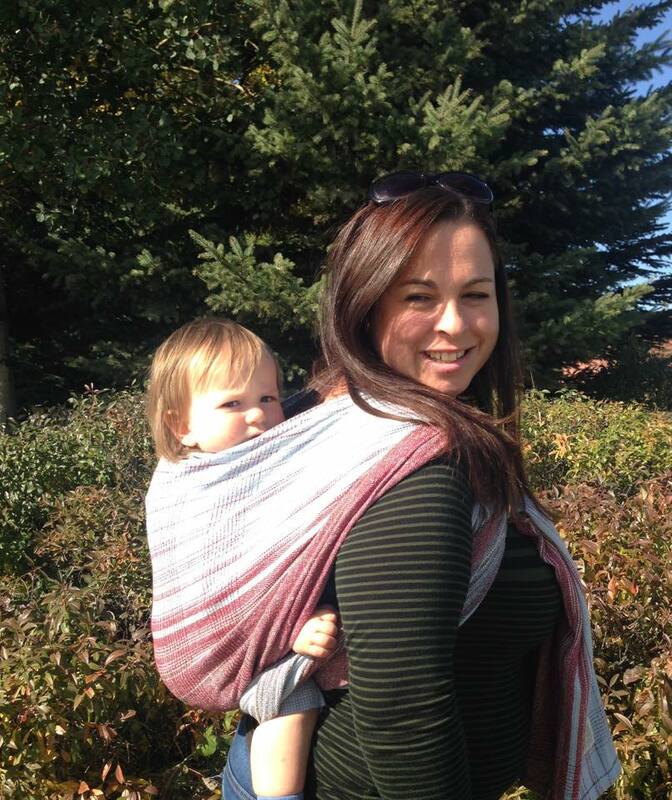 Emma joined the Babywearing Calgary team when her second child was a few months old, and loves helping parents learn to use and troubleshoot a variety of carriers. She enjoys wearing her babies daily (yes, that sometimes involves bribing them into a wrap) and hopes to continue wearing and helping others wear their babies for a long time to come! Meet Laurel….. Laurel is part of the social media team, and will hopefully fall in to a co-leader role as well. Laurel is a new member of the Babywearing Calgary team. She has been babywearing since the birth of her son in 2014. From 1 week old he has been in a carrier nearly every day. She knew she would babywear before he was born and bought her first woven wrap before knowing anything about them. There are different sizes? Material? Who knew?! Gifted with 3 different carriers from loving family members she quickly became obsessed with learning, which has grown into a passion to help other new moms. From walking her dogs, to shopping, to working out, to cooking dinner, she’s always got one (or two, or three) carriers for just the right situation. Meet Amy… Amy is on the workshops/education/events committee. She’ll be the one setting up a number of fun informative events for our members. Amy started babywearing shortly after the birth of her first son in 2012. She started by attending the classes offered at Babes in Arms (at the time instructed by our very own co-leader Jen), then found Babywearing Calgary. Amy has continued to learn about and lust after all the babywearing things. Now, with a second baby boy, babywearing and babywearing education continues to be one of her favourite parenting related topics. Amy is excited to join the Babywearing Calgary team as of September 2015 and is looking forward to all the babywearing adventures to come! 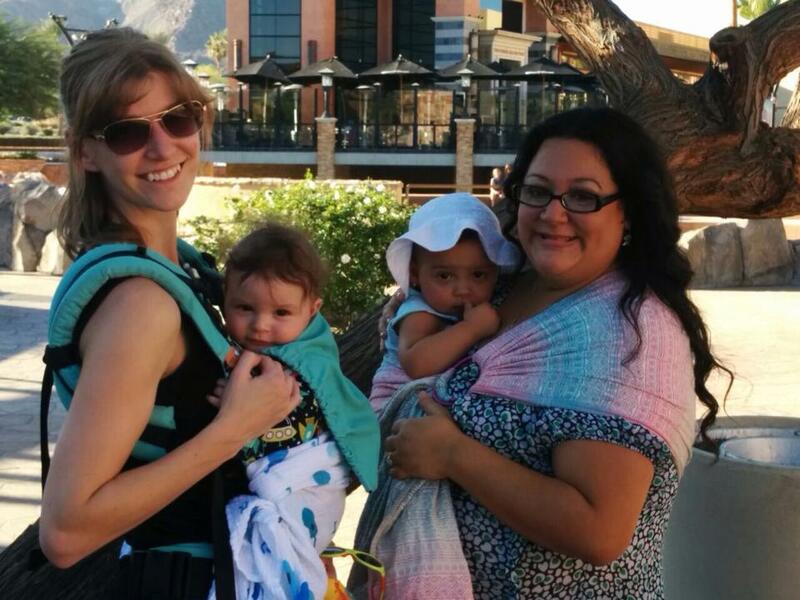 Meet Angela… Angela is a co-leader for babywearing meetings. She is a new member of the Babywearing Calgary team, joining us in September 2015. Her passion for babywearing started in 2012 with the birth of her first baby. Her passion continued with the birth of her second baby in 2015, and now she loves helping others learn how to hold their babies close. She is an invaluable resource when it comes to picking out a carrier that best suits your needs, and she is great with troubleshooting. Meet Tanya… Tanya is a co-leader for babywearing meetings. She began her baby wearing journey in 2010 and quickly fell down the rabbit hole after wandering into Babes in Arms. After the birth of her second baby, Tanya was gifted a rainbow woven (for a rainbow baby) and a whole new love for wovens was born. She loves helping mommas and babies experience the joys and benefits of babywearing. Meet Trisha…Trisha is our co-leader for meetings held in the NW. 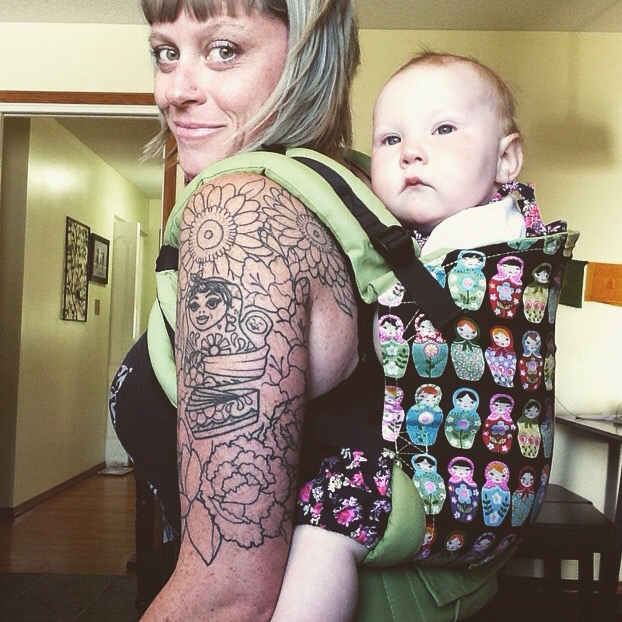 She is a new member of the Babywearing Calgary team as of September 2015. Trisha wore her first baby when he was born in 2011. However, it didn’t become a passion and way of life until her second was born in 2014, after she tried her first woven wrap at a babywearing meeting. Now Trisha loves to teach other interested parents how to wrap their babies, nurse in carriers, and she can be found around town keeping her youngest close while keeping up with her 4 year old. Meet Debbie…. Debbie is on the social media committee. She fell head over heels in love with babywearing after the birth of her first baby, Harrison, in March 2015. While only 6 months into this wild and wonderful world, she has explored everything from handwovens, to SSCs, ring slings and wrap conversions. She credits her friends Andrea and Tanya for sharing their love of wearing as the catalyst to her wearing ways, and is so happy to have reconnected with them and this wonderful village of mommas and dads! 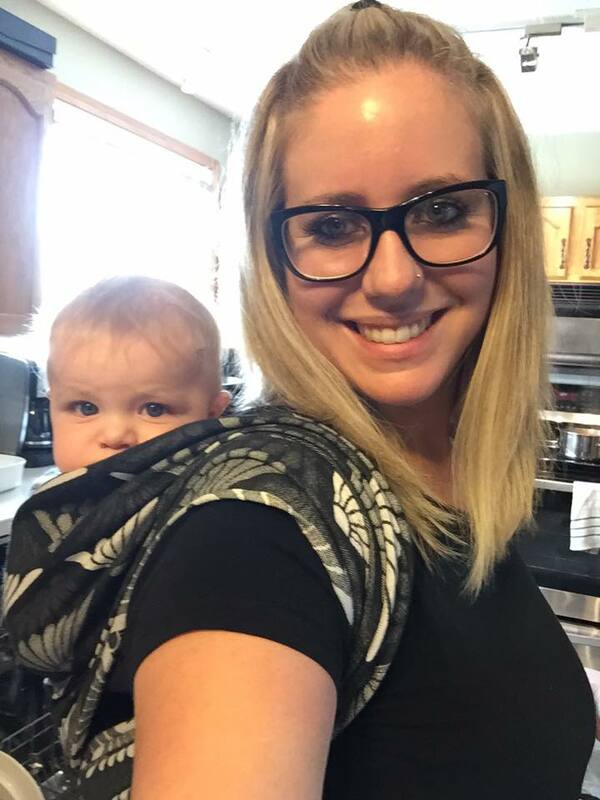 As part of the social media team Debbie is excited to share baby wearing to the masses and connect with as many people as possible. 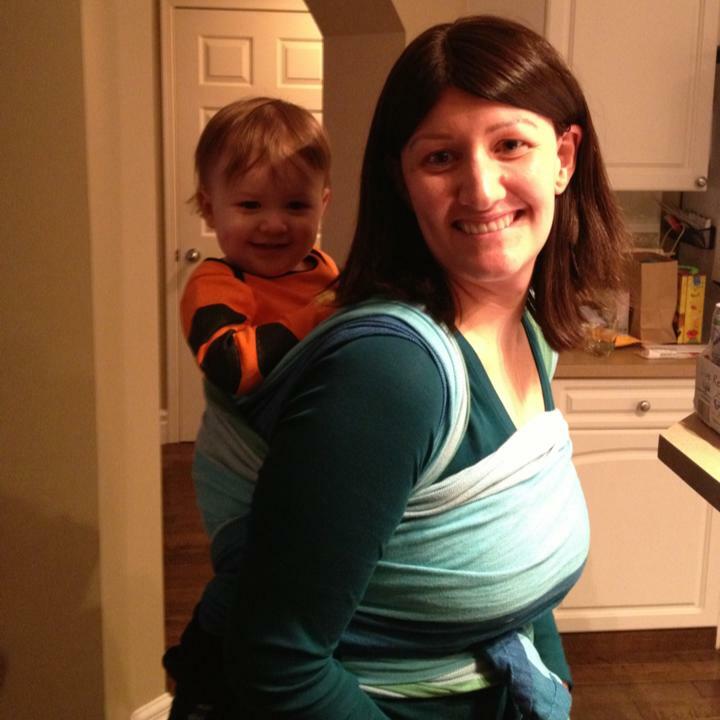 Meet Sharon… Sharon is a Babywearing Calgary moderator and co-leader. Sharon has been babywearing since the birth of her first son in 2012. Wearing him was a crucial bonding tool after a difficult pregnancy, and just as important to keeping his brother close in 2014. Now that her babies are getting bigger, she can often be found chasing them around at the park or the zoo trying to convince them to go “up”. 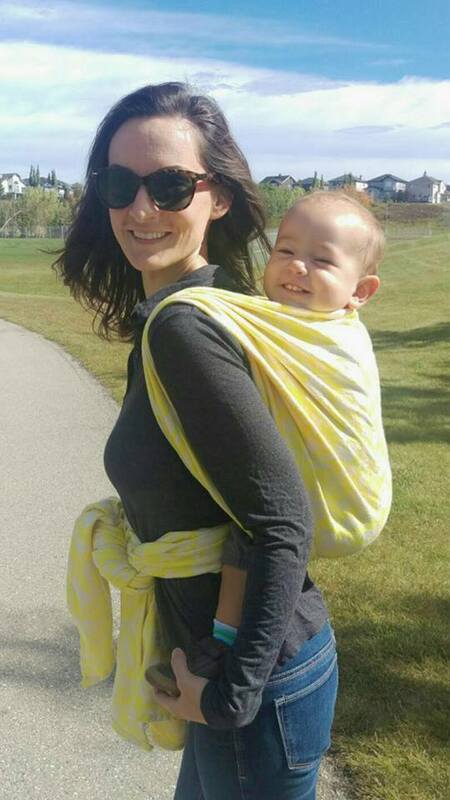 With experience using a wide variety of carriers, Sharon enjoys using her position with Babywearing Calgary to help parents and caregivers bond with their babies and keep their precious little ones close. Would you be interested in coming on Breakfast Television to chat about baby wearing Calgary? For sure! Shoot us an e-mail at babywearingcalgary@gmail.com and we can chat about it more.